Ball and chain Lariat style necklace. 40.5 inches long. Stated to be over 20 years old and never worn. 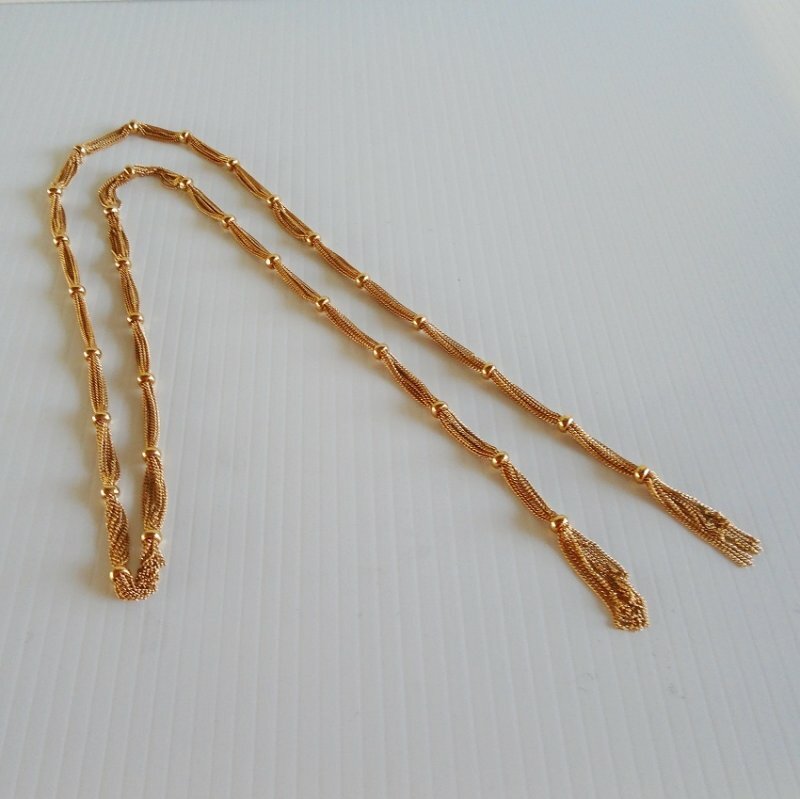 This lariat style necklace measures 40.5 inches long from end to end. It is gold in color and may be gold plated. There are 10 strains of thin gold chain with a 1/4 inch gold ball spaced every inch or so apart. I purchased it at a moving sale and was told by the seller that it was a gift to her "maybe 20 years ago". She said she never wore it because it wasn't her style.